Paris, France, Mar 31, 2018 / 12:31 pm (CNA/EWTN News).- Amid a push to legalize physician-assisted suicide in parts of Europe, 118 French bishops signed a declaration this week promoting end-of-life care and explaining the Church’s opposition to suicide in all forms. “Whatever our convictions, the end of life is a time we all will live and a concern we share. Everyone must be able to think as calmly as possible, avoiding the pitfalls of passions and pressures,” the bishops said in the document. “We want, above all, to express our full compassion for our brothers and sisters at the ‘end of life,’ as the Church has always tried to do. They present themselves in their weaknesses…their existence is a call: what humanity, what attention, what kind of solicitude will we show to those who live among us?” the bishops continued. The declaration, called “End of Life: Yes to the Urgency of Fraternity,” was signed by 118 French bishops on March 22. The document was published to promote compassion towards those nearing the end of their lives, and to oppose physician-assisted suicide legislation. In the document, the French bishops applauded the medical professionals who provide individuals with palliative and end-of-life care. However, they lamented the limited access to palliative care, due to the limited number of trained health care workers in the field. “Because of these shortcomings and the media hype of some cases, many are calling for a change in the law through the legalization of medical assisted suicide and euthanasia,” they continued. But to change the law, they said, would undermine pre-existing legislation that “ensures a peaceful end to life,” which was passed on Feb. 2, 2016. “Changing the law would show a lack of respect not only for the legislative work done already, but also for the patient and progressive involvement of caregivers,” the bishops noted. 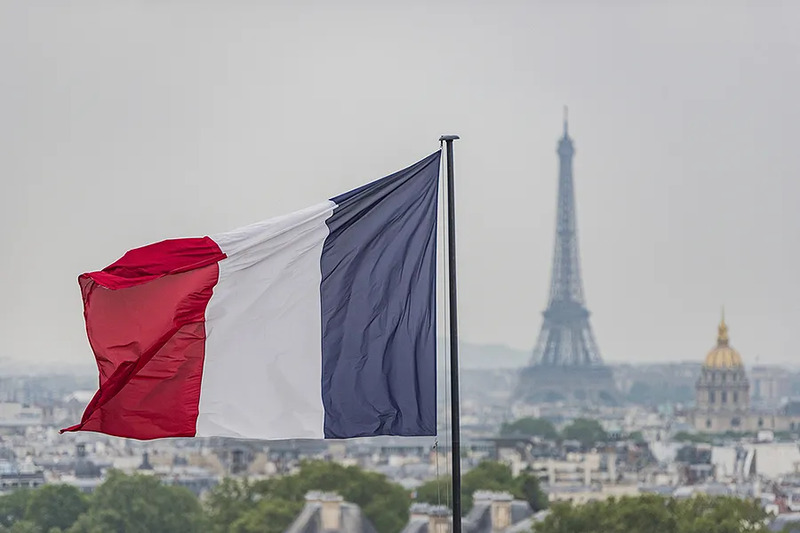 Accepting physician-assisted suicide in France would be contradictory, they continued, since the nation is also promoting efforts to fight against suicide. “Killing, even pretending to invoke compassion, is by no means care. It is urgent to safeguard the vocation of medicine,” the bishops remarked. Placing the weight of physician-assisted suicide on doctors and caregivers will inevitably result in the questioning of human dignity and a strained relationship between doctors and patients, they said. Moving forward, the French bishops called on the nation’s citizens to remember the story of the Good Samaritan, who passed a wounded man in the street. Instead of leaving the man to die, he cared for him and made sure he received the proper care and attention to recover. Did Hans Urs von Balthasar teach that everyone will certainly be saved? Dublin, Ireland, Dec 21, 2017 / 07:01 pm (CNA).- The Celtic cross has been recognized as an emblem of Irish Christianity for centuries. Barletta, Italy, May 11, 2018 / 12:16 am (ACI Prensa).- The investiture of Sister Maria Vittoria della Croce last month marked the first ceremony of its kind to be held in the Italian city of Barletta since the 1940s. “The monastery of San Ruggero [in Barletta] had been reduced to a very few elderly nuns, but three years ago it was re-founded with the arrival of several young sisters, which revitalized it in terms of vocations,” explained Deacon Riccardo Losappio, head of communications for the Archdiocese of Trani-Barletta-Bisceglie. 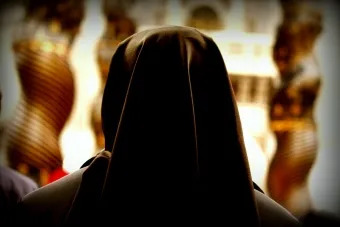 Losappio told ACI Prensa, CNA’s Spanish language sister agency, that these new religious, including the current abbess, come from the Santa Maria delle Rose (Saint Mary of the Roses) Benedictine monastery located in the town of Sant’Angelo in Pontano in the Marche region in eastern Italy. Now, with the admission of Sister Maria Vittoria della Croce, “the Benedictine monastic community of San Ruggero is comprised of six nuns that have made solemn vows, four nuns who have made temporary vows, two novices and one postulant,” he said. Sister Maria Vittoria della Croce – whose baptismal name is Carmen D’Agostino – is 27 years old. Her induction ceremony into the San Ruggero Benedictine monastery took place April 27 in the co-cathedral Basilica of Saint Mary Major and was presided by the Archbishop of Trani-Barletta-Bisceglie, Leonardo D’Ascenzo. The photographs of the event were posted by the archdiocese on its Facebook page, where they reached more than 2 million users and drew more than 11,000 shares, 3,700 “likes” and 650 comments. The new nun was born in January 1991 in the Italian town of Melfi and finished her studies in nursing at the University of Foggia in 2014. She grew up in a strong Catholic family belonging to the Neocatechumenal Way and has three siblings. “When I was 15, my mother went to heaven after a long illness which she endured with faith. It was not easy for me, but I can bear witness that the Lord has always provided for my family and me,” she stated. “Thinking about my mother made me look to heaven, to paradise. More than having made a choice, I was chosen by him: at a youth encounter, and then also through others, I felt the love of Christ manifested on the cross,” she said. “I simply accepted this love, this call to fight for the kingdom of heaven, and with the help of the Church to discern this call, I entered the monastery,” she said. 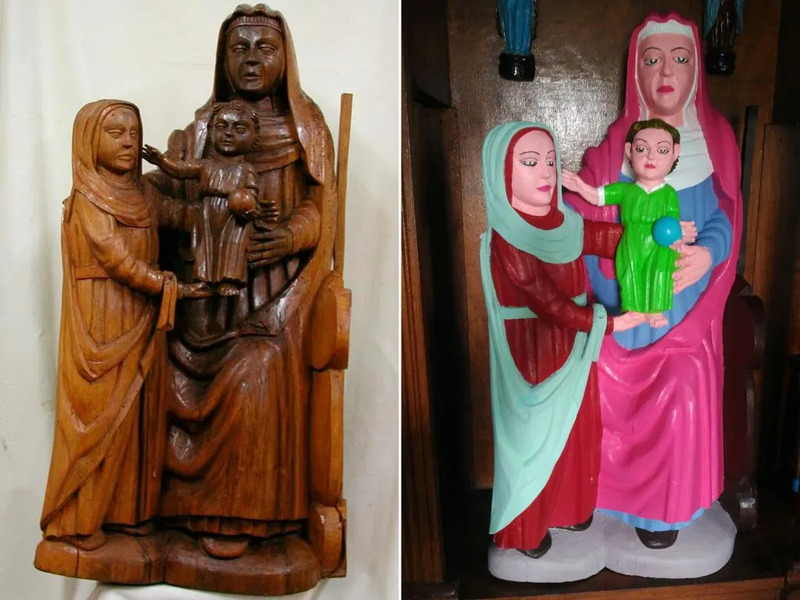 Oviedo, Spain, Sep 10, 2018 / 04:01 pm (CNA/EWTN News).- In the third known act of egregious artistic restoration of Spanish Catholic art in recent history, a 15th century statue of Christ and Mary has been given a fresh – and loud – coat of paint, simultaneously sparking hilarity and outrage online. “I’m not a professional, but I always liked to do it, and the figures really needed to be painted. So I painted them as I could, with the colours that looked good to me, and the neighbors liked it,” Menendez told local newspaper El Comercio, as quoted by AFP. “Does no one care about this continued plundering in our country? What kind of society stands by as its ancestor’s legacy is destroyed before its eyes,” the group tweeted.